Installing a marine VHF radio on board your boat in either a fixed or handheld form is highly recommended. You cannot predict when you may find yourself in trouble and if you do not have anyway of calling for help, you will be in serious trouble. 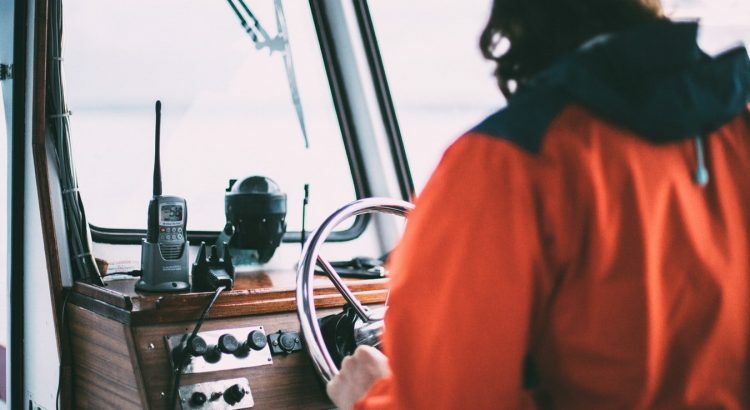 This article is for those requiring further information regarding the functionality of a VHF marine radio and how it can benefit the way they use the device when out to sea. 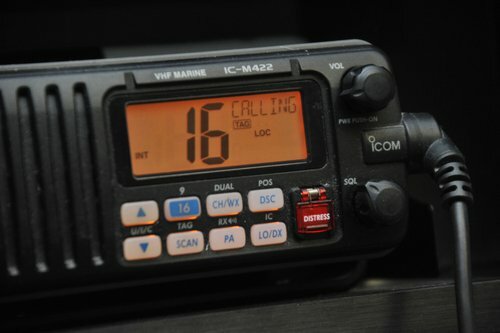 Information regarding the marine radio frequencies, nautical radio signal and weather channels will ensure you get the most out of your VHF radio. Today, majority of radios are designed with a display. This is done to offer a glimpse at the settings and the ability of interacting with the many functions. Unlike smartphones that have a graphical user interface, the best boat vhf radio is fitted with a dot matrix display. Instead of icons, users have to get used to numbers available in seven segments. This means the display is able to show seven individual elements in form of rectangular numerals. One thing you need to understand about VHF radios is that they come in handy during emergencies only and that is why they are not decked out with features similar to those found in smartphones. The dot matrix display shows the battery life indicator, volume level, latitude, longitude, time, location and channel number among other useful information. These functions have been made simpler to allow users make the most out of any situation. Thanks to the monochrome pattern of dark and light elements, users are able to select functions quickly. Furthermore, it allows one to read different settings with ease. One thing you need to know is that noise pollution from a wide range of electronic and mechanical equipment has been found to result in stress, difficulty in communication and impaired hearing. This affects one’s health as well as productivity. That is why modern VHF radios are fitted with active noise reduction technology. The technology comes with unique cutting edge features that are compact and cost effective. They help to deliver more than 10db noise reduction across the audio spectrum. The technology works when the noise cancellation speaker emits a sound wave which has the same amplitude but with an inverted phase to the original sound. These results in the waves combining to form a single wave through a process called interference. The new wave cancels out the noise providing clarity to the listener. Today, digital signal processing chips are used which are fused with adaptive algorithms designed to analyze waves. With this technology in your VHF radio, you are assured of clarity during communication. Your sounds will be more audible than ever. According to marine vhf radio reviews, it is wise to invest in a VHF radio that comes with multiple scanning functions. Selecting models that have either dual watch or Triwatch allows you to stay alert when fishing or boating. Thanks to the scanner, boat owners are able to monitor channels like Channel 16 to check for traffic every other time. One thing you need to know is that every boat owner has a duty to respond to any distress call. If another boat owner sends out a mayday signal, other boat owners within the vicinity have to respond. For the Triwatch scanner, it helps to add VHF channel 9. This is important in areas where difficulty exists when it comes to chatter. While it monitors both Channel 16 and 9, it allows you to listen to another selected channel. Today, VHF radios are fitted with modern microprocessors which allow the unit to scan and monitor over hundred channels per second. These channels can be stored in the unit for later retrieval. The scanning function offers a simpler way of monitoring communications especially in emergency situations. With the tag scan features, users have the ability of selecting any number of Channels to monitor. As a boat owner, what you need to know is that this service is offered to all mariners by the US Coast Guard as part of the Global Maritime Distress and Safety System. The service is designed to allow mariners the ability of sending automatically formatted distress alerts to the US Coast Guard or any other rescue authority around the world. It is engineered to start and receive distress, urgency, safety and routine authority radio telephone calls to and from vessels or shore stations. Thanks to this service, boat owners don’t have to be near a radio loud speaker. The feature acts like a dial and bell of a telephone. It enables the making of direct dial and ring to other mariners quickly. What you need to know as a shopper is that this feature has been around since 1999 in all radios. It is actually required by law to have this feature as an operating mode. Not only will mariners be able to send out automated distress signals from their boat to a shore rescue station around the world but they will send their identity within the VHF range. This helps to lock in their current position enabling a quicker rescue. Nothing spells trouble than a rough sea. To be safe, it is important to be updated regularly regarding weather. That is why you need the best marine vhf radio. Thanks to technology, VHF radios can receive automatic weather alerts from renowned agencies like the NOAA. This is an agency that enriches life through science. Not only do they provide weather forecasts, they provide severe storm warnings and climate monitoring to coastal restoration, fisheries management and fellow mariners. Its scientists use cutting edge research and high tech equipment to provide you with reliable information that allows faster decision making when at sea. To ensure safety when fishing, you need a receiver that incorporates the Specific Area Message Encoding (SAME) system. This is mandatory. What you need to know is that radios with SAME technology usually alert for emergencies anywhere within the coverage range of the NWR transmitter. That is why you are required to program the receiver with your country, marine area or independent city. Avoid programming the radio for louder or clearer station not designated as a SAME channel. Why? Your radio will not receive alerts that will provide early warning about any incoming disaster early enough for you to make the best decision.